As we come to the end of Catholic Schools Week, I reflect on how blessed we are to have such a vibrant, faith-filled Catholic school. 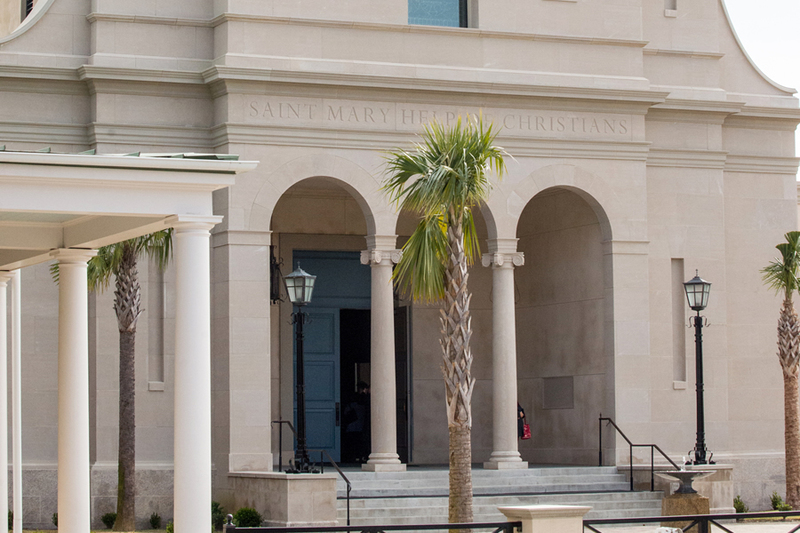 St. Mary's School is certainly one of our primary apostolates as we form the next generation firmly rooted in Jesus Christ, the Divine Teacher. Thank you for your support of our school in this essential mission. It is with great pleasure that I am able to announce that Ms. Charlene Krushinsky has accepted the position of principal at St. Mary Help of Christians Catholic School for the 2018-2019 school year. I am confident that Ms. Krushinsky will faithfully lead our school, maintain our solid programs, promote the school's mission and philosophy, and create the learning environment that you desire for your children. Ms. Krushinsky currently serves as the principal at St. Louis the King Catholic School in Glendale, Arizona. Before her appointment as principal in 2012, Ms. Krushinsky was a vice principal and a teacher. She received her Bachelor of Science Degree in Elementary Education and Masters Degree in Educational Leadership from Northern Arizona University. She comes to St. Mary's with many professional accomplishments and strengths that will compliment our wonderful school. I know you share my deep gratitude to Mrs. Wertz for so faithfully leading us through a whole year past her planned retirement. We look forward to the opportunity to express our appreciation to her in the near future for all her many terrific years as principal. Please pray for both Mrs. Wertz and Ms. Krushinsky during this transition. God has certainly blessed us in Christ! Don't forget! Ash Wednesday is February 14. Be sure to do your St. Valentine's celebrations the night before – Fat Tuesday (Ash Wednesday is a day of fast and abstinence from meat). Masses are at 7am in Old St. Mary's; 8:30am, 12:00pm, & 5:30pm in the church; and 7:00pm en español in Old St. Mary's. We will be blessed to have a French boys choir, La Maîtrise des Chartreux, singing at some Masses. We are hoping to plan a free concert the following day. Stay tuned!